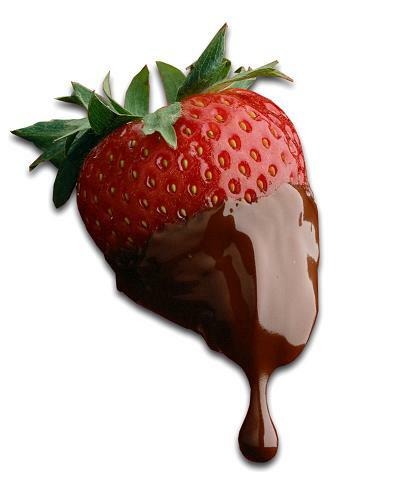 Have you ever thought that pairing a chocolate and strawberry can be quite a delicious one? Well, we are talking about chocolate covered strawberries that brings the extra taste and make you feel wonder. There are lots of recipes that you can find over the Internet where it can help you guide your way to make this type of delicious desert. You can try to mix some liquor that would spice up this strawberry topped cake and you would be glad after getting the best taste. The very first thing that you have to do before getting ready to prepare chocolate covered strawberries is to wash the strawberries and then pat them dry with the help of a paper towel. This is important mainly because you need to ensure that there are no dark spots or bruises in the strawberry as the strawberry would be covered with chocolate. It is best not to cut the leaves of the strawberry because it would add an extra visual appeal after covering it with chocolates. You can have a quick look on how you can prepare chocolate covered strawberries in the right and the perfect way. It is best if you can get a double boiler that would help you to melt the chocolate. Even if you do not have a double boiler then you can use your saucepan which should be a medium sized one and then you should dill it up with three-fourth of water. The next step that you nee d to take to make chocolate covered strawberries is to get a heat-proof bowl inside of it and you need to make sure that you turn on the stove in a low heat. You would find that the chocolate would start melting. You have to make sure that you continuously keep on stirring until the chocolate melts and gets smooth and creamy texture. In the meantime you can get your baking sheet where you need to line it with wax. You can also use parchment paper whichever is handy for you. The most important thing that you need to concentrate while preparing chocolate filled strawberries is that it should be large enough so that all the strawberries gets fitted and ensure that they do not stick together after they have been dipped with chocolate. After the chocolate gets melted its time for you to start dipping where you can take a strawberry and dip into the chocolate. Another important thing while making the chocolate filled strawberries is that you need to remember to twirl the strawberries around the chocolate very well so as to avoid missing any spots. The next thing is to place the strawberries allowing it to cool down on the baking sheet. This does not end your preparation of chocolate filled strawberries because you now need to put the chocolate filled strawberries into the fridge to harden the chocolate. It is important for you to get some tips when you prepare chocolate filled strawberries. You can try to experiment with different types of chocolates on the same strawberry. You can try to first sip the strawberries into white chocolate and after it gets hardened you can then again try to dip in a melted dark chocolate but while doing so you need to be extra careful so that you do not make it look bad. If you find that the strawberries that you have for preparing chocolate covered strawberries have very short stems or leaves then you can use a toothpick where you can stick on the top and then dip it in the chocolate making the toothpick to act as a handle. So you have learned the skill to prepare the tastiest chocolate filled strawberries.